Holiday sales are the ultimate chance for companies to boost their profits and make it (back) into the black with PPC promotions. Shoppers are flocking to the web to make their purchases—and to research potential buys—days (and sometimes even weeks) before the big fourth quarter holidays roll around, which means you should be planning your campaigns and ad work early. The key to boosting holiday sales and bids on products is to make more than you’re spending, so if you want to keep your budget the same here are 7 PPC strategies you can follow to grow your profits. Prep for the holiday season by examining the competition. Check out the popular websites and those of your competitors. What style of ad copy are they using? Are they targeting categories or specific products? What your competition is pushing—and how they’re doing it—can give you a clearer picture of what you might be facing this year in regards to the needs of your prospects. Clever businesses can find weak points in rival ad campaigns and fill the niches going otherwise unfilled by their competitors. Look at the data from last year (if you’ve got it). 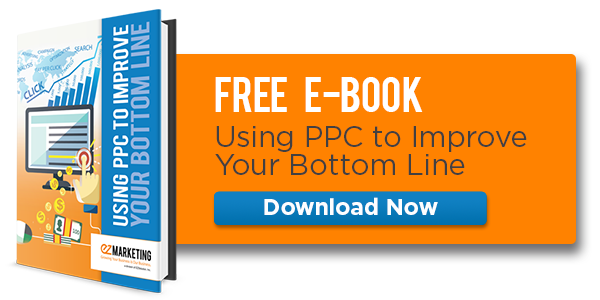 If you have the numbers, use them to influence your PPC choices this holiday season. Having the historical data available lets you avoid past mistakes or improve the effectiveness of your ad copy and SEO. Examining this older data is part of the testing and tracking phase where you make adjustments based on previous results. Your visitors may not be ready to make a purchase when they first visit your website, or they may fill their carts with items only to abandon it a short while later. That’s where retargeting come in handy. The long-and-short of it is this: retargeting creates a trail of bread crumbs your visitors won’t notice, but that will serve them targeted ads to eventually bring them back to your website or shopping cart. If you’ve ever window shopped Amazon or Etsy for something, you may have noticed ads for very specific products popping up during your browsing (on let’s say, Facebook or Google) shortly after leaving the site. These ads aren’t the product of random websites reading your mind—they’re a result of retargeting! The process is intended to recapture your visitor’s interest and encourage them to become new or repeat customers. Retargeting is an incredibly valuable pay-per-click strategy during the holiday season, especially when paired with holiday-themed ads and offers. The ads that follow your visitors keep your brand fresh in their mind for when they become serious about making those final holiday purchases. The list goes on. To really spark the interest of holiday shoppers, sometimes tweaking your existing list of SEO words will suffice. 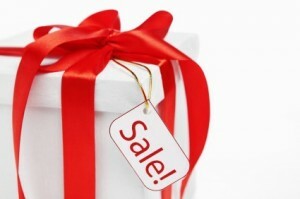 The holiday season represents a rise in sales, but you have to do your research to maximize the potential for profit. Holiday-focused keywords keep PPC campaigns targeted to holiday sales, creating a specific campaign designed to respond to holiday shoppers’ needs. 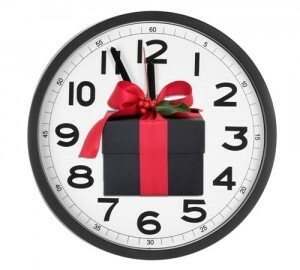 Since it is the ‘season to be giving’, words like gift and present become commonplace in search engines. Targeting specific products with phrases that include the words “holiday sale” makes them relevant to the season—and to search engines. Pushing ad copy relevant to your prospects is one of the keystones of any successful web business. Mobile browsing has reached an all-time high and ecommerce websites that aren’t already optimizing for mobile-based sales are going to miss out on a lot of business this holiday season. 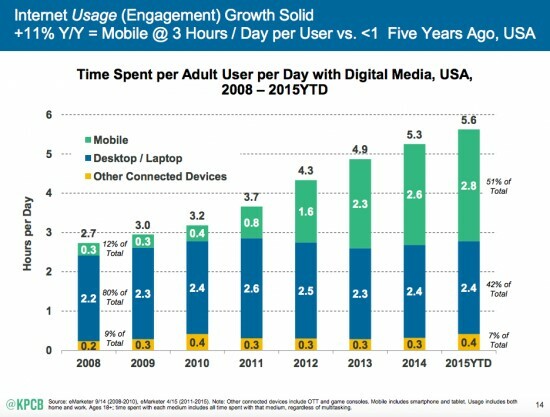 The above chart highlights the trend of mobile web browsing and how it has grown over the last seven years. If your site isn’t optimized for mobile use for the holidays then you’re sacrificing a significant percentage of potential customers. Mobile optimization simplifies the browsing experience for the user, and for PPC campaigns, provides a platform holiday purchasers can rely on for fast, effortless shopping. “Limited time offer” is frequently seen on promotional ad copy for ecommerce sites, and nothing says limited time more than the holiday season. 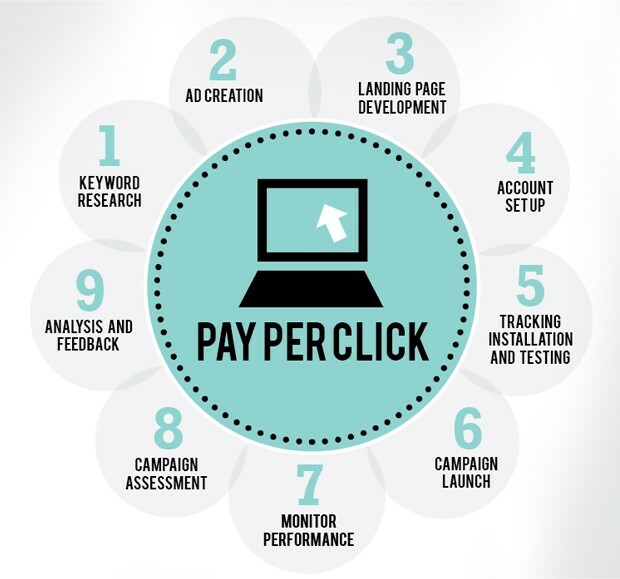 For pay-per-click campaigns to work, they need to be unique (specific) and to convince users that if they want something, they need to make that purchase now. While your normal marketing run its course, create something specific to the holiday season you’re about to enter. This puts a deadline on special offers and promo codes. Really, it creates a sense of urgency. These holiday PPC ads should contain unique copy suited for the occasion. Same goes for any promo codes you use—make them holiday themed to continue the trend. Your checkout pages need to display an effective call-to-action, and emphasize that customers can add to cart or buy. Setting expectations gives users an idea of what they will get once they click your PPC ad. 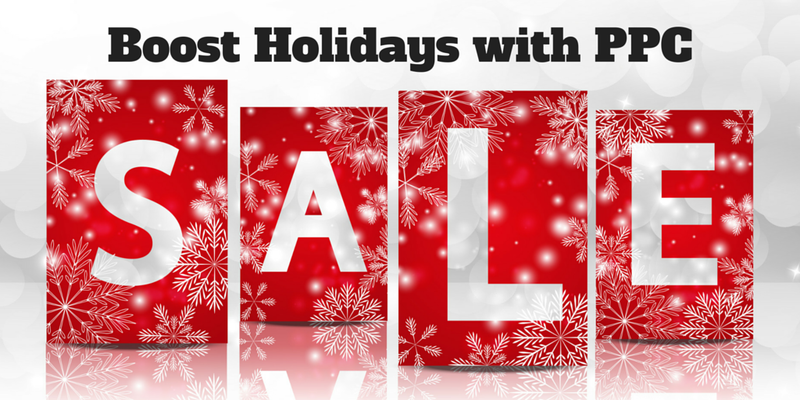 If you’re promoting a specific holiday deal then that copy has to stand out on your landing page. The goal of any checkout page should be to finalize the purchase—to capture a visitor’s interest and turn them into a paying customer. Your shopper’s keywords should be dynamically inserted into the landing page copy since your goal is to narrow the sales funnel. Once they reach your special-offer landing page or checkout, they should be as close to making that final purchase as possible. The holiday season is already a profitable time for online businesses, but the implementation of a few good PPC strategies could boost holiday sales and make even Santa jealous.